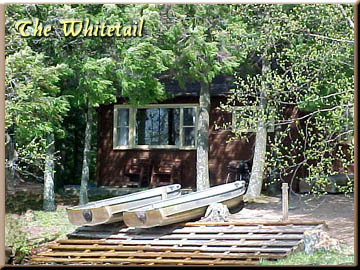 The "Whitetail" is a cozy two bedroom lakeside cabin, with a sleeper sofa. Enjoy a bite to eat at the snack bar next to the spacious picture window overlooking beautiful Big Stone Lake. This unit rents for $745.00 per week during the peak season. A 10% discount is available during the off season. Please see 'Information' for more details!